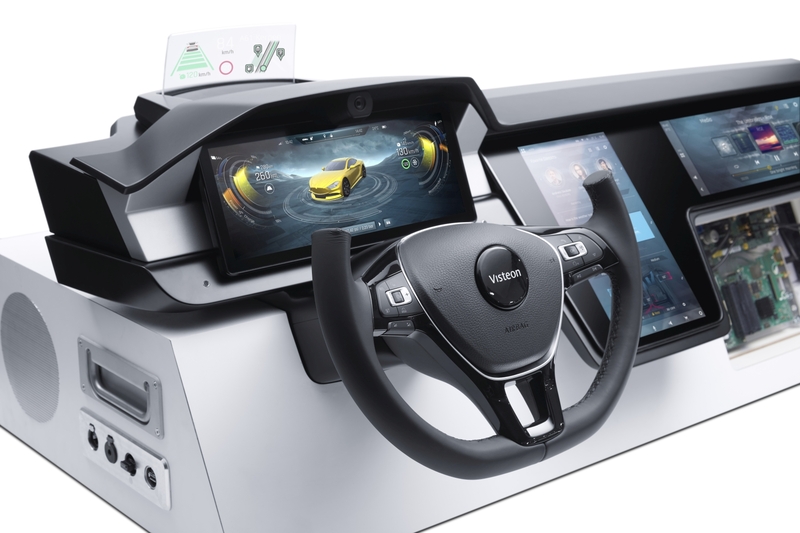 Visteon Corporation (Nasdaq: VC), the world’s leading supplier of automotive digital instrument clusters, has introduced the industry’s first fully digital cluster displaying holographic objects on the all-new PEUGEOT 208. Part of PEUGEOT’s unique 3D i-Cockpit®, the instrument cluster represents the first real 3D cluster in automotive production. 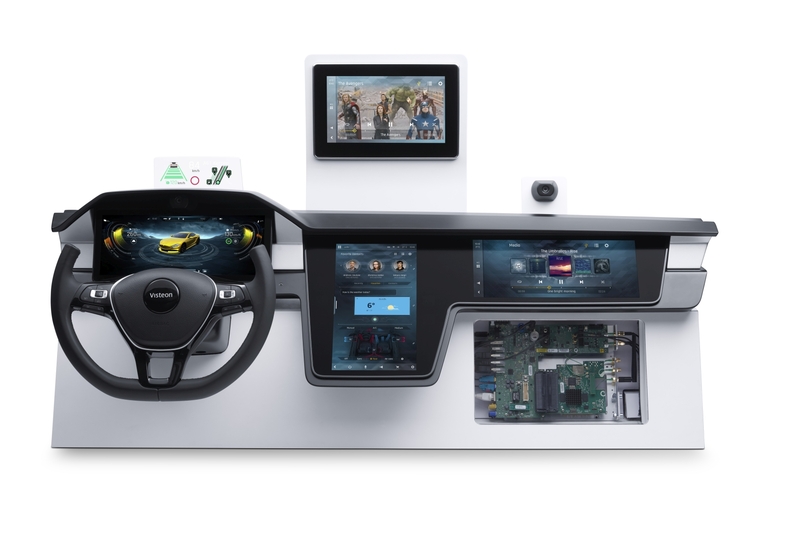 Partnering with Groupe PSA to develop a pioneering “3D Blade” concept, Visteon’s digital cluster displays advanced reflections to create the impressions of 3D graphics. The cluster is composed of a high-definition 10.25-inch “background’ thin-film transistor (TFT) and a 7-inch “foreground” TFT projected on a semi-reflective blade. The leading-edge display creates a 3D projection of approximately 15 mm between the front and rear images. The PEUGEOT 208 cluster’s projection offers styling teams the flexibility to create depth with rotating menus and shadow effects and, importantly, bring a distribution of key information to the driver – including priority information such as speed and alerts. 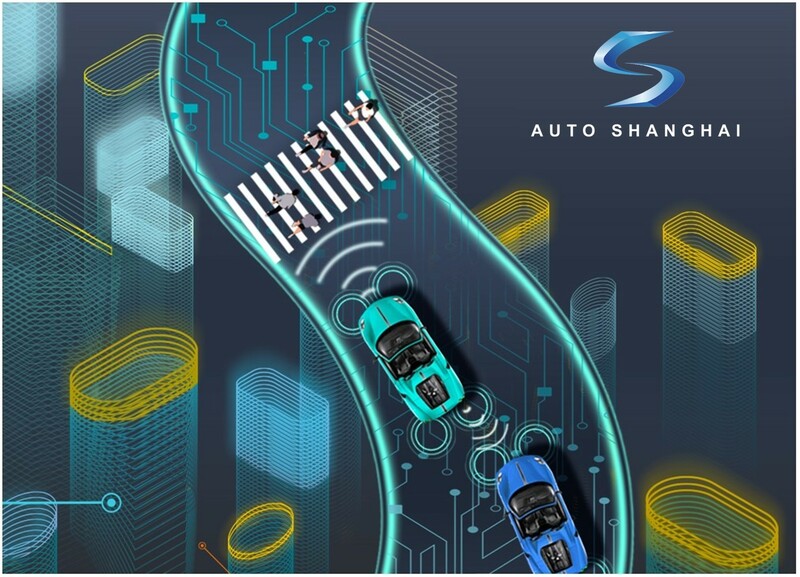 The display also allows animations to pass dynamically from the foreground to the background in ADAS modes or as 3D animations in a number of configurable colors and skins. 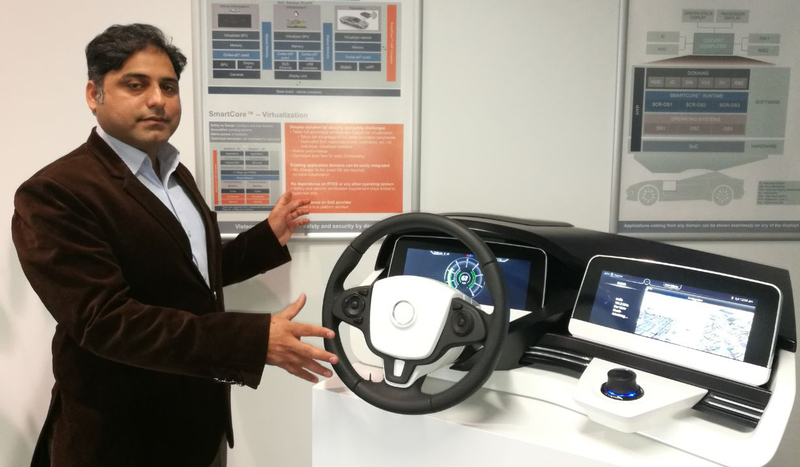 The PEUGEOT 208 3D cluster is the first of several variants in the Groupe PSA brand line up to be launched over the coming years in a number of sizes. Sharing the same platform as the DS3 CROSSBACK instrument cluster, the PEUGEOT 208 3D cluster – with its two TFTs surrounded by tell-tale satellites – also provides high-quality graphical content with animations and 3D content on both screens, in a complex and calibrated mechanical structure. This allows a true sense of depth to the driver, without distraction. 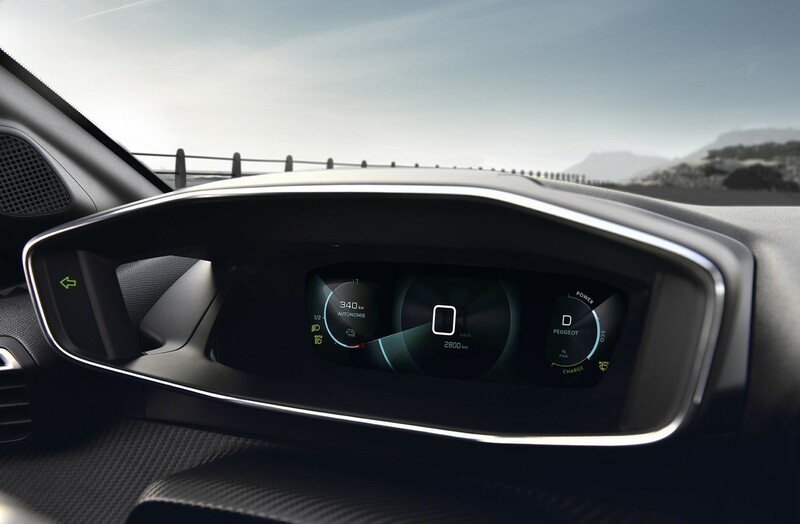 The 3D technology is available on high-end versions of the new PEUGEOT 208, while the entry-level model is fitted with an analog cluster – also provided by Visteon.